At Joe Bullard, you'll find that our name tags are a little different than what you might see at other automotive dealerships. You may notice the four-digit year on the bottom corner, this is just a small way we pay tribute every day to the men and women of the U.S. military in our lives. Here are just a few of our team members sharing the story behind their number but next time you stop by feel free to ask any of our employees about their number. We are sure they will be glad to share! Joe Bullard Automotive is a locally owned and family operated dealership group founded in Mobile, Ala, in 1955. Consisting of Joe Bullard Cadillac, Infiniti of Mobile, Jaguar Land Rover Gulf Coast, Joe Bullard Acura, and Joe Bullard Ford Lincoln. The Bullard family has been serving Gulf Coast communities in automotive sales and service for over 60 years. 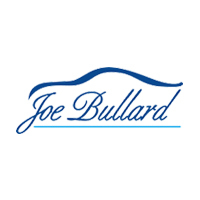 Why You Should Choose Joe Bullard Dependability at Joe Bullard I am Joe Bullard – Lee Dell Scarborough Spouses are a Big Part of the Joe Bullard Family. Mrs. Pam Pittman at INFINITI of Mobile Roosevelt Harris is Joe Bullard What is Joe Bullard?